Oh my God. It’s finally here. You’ve finally turned 18. Goodbye fake ID’s. Goodbye fake Facebook details. Goodbye growing a pathetic beard in a pitiful attempt to get past the bouncers. What place could possibly do justice to such a momentous occasion? London? Yeah, London would be pretty good actually. As the capital of our glorious location, London is the kind of all-out party capital you’d expect with all the glitz and glamour you’d want on a birthday night out. However, we’d be lying if we said it wasn’t pricey. But wait! Don’t cancel your plans just yet, there’s plenty of ways to cut off London’s expensive price tag and have a fantastic time without breaking the bank. Seek out the many Happy Hour bars London has to offer. One nifty little bar called Dirty Martini does happy hours on the daily, letting you get your hands on a bottle of wine or martini at half price. Clubbing in London is affordable too if you know where to look. The Fez Club in Putney has varying door prices but the drinks are all under £20. The Fez Club loves students (they say so themselves on their website) and as we all know, students aren’t exactly rolling in the deep, so you can expect generous deals and offers from Monday to Friday. A cheap and cheerful night out in a buzzing club with a unique Moroccan aesthetic. Of course, you’re only a google search away from discovering plenty more amazing and affordable bars and clubs in London. But it’s not all about the nightlife. 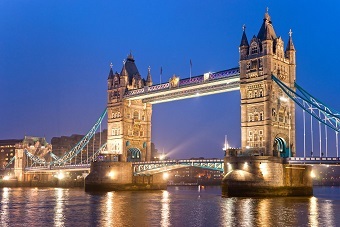 London is a big place and is full of fun things to do to make your birthday truly memorable. Try something you’ve never done before and live life to the full! You could do anything from paintballing to dance parties and much, much more. London is a lively, bustling city with a wonderfully exciting atmosphere that’ll put butterflies in your stomach and treat you to a birthday party you’ll never forget.